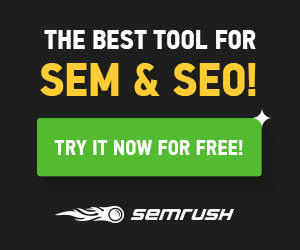 Are looking for the best WordPress SEO plugin for your website? or wondering which plugin is the best for you to optimize your content to get rank higher on the search engine. It is the most important point that every website owner needs to have to Optimize the website On Page SEO for the search ranking. …And WordPress SEO plugin allows you to get much easy of optimizing your content for SEO and get the better result on the SERP. There are lots of WordPress SEO plugin out there but today we will walking throw the best WordPress SEO plugin only to help you optimize your blog post much easy and simple to use. Now Lets Answer a common question. Is Yoast is the best WordPress SEO plugin? The answer is Yes. – But there are not only Yoast SEO plugin is the best, but there are also several more that doing great of helping on the SEO optimization like Yoast. But Yoast is the most popular WordPress SEO plugin that is many blogger and SEO experts actually recommend to use in term of on-page SEO optimization for the organically search ranking. So no worries about this anymore today we had covered the best WordPress SEO Plugin that answers all of your minds wondering questions. Why Best WordPress SEO plugin? Because the plugin helps us to optimize our contents SEO every short amount of time and easy to use. SEO is the main ways that we can get traffic from search, so we need to do very well on the search engine optimization for getting the higher rank on the search SERP and WordPress SEO Plugin will help us in this case. Before we dive right in, let check out the table of contents that we covered for this best WordPress SEO plugin to get quick previews of this article. Rank Math is the best WordPress SEO plugin that just released by Mythemeshop this plugin is free for everyone. It late coming to the market of the SEO but it is a really useful plugin and come with a lot of great features that every blogger required on SEO strategies. We on SEO Relation also using Rank Math for our On-page SEO optimization for content getting rank on the SERP. …and this plugin has done very well for us in term of SEO optimizing for the new content ranking. Most of our content is getting on the first page of Google search result page. Because this plugin helps me on the SEO optimization for my contents and tell me what wrong on my SEO technical so I can improvement my content for the right ways. I like the feature that Rank Math provided me is the Yoast and All In One pack importer so I can easily import the data that I had optimized on Yoast or All In One Pack SEO plugin. Whenever I wanted to move from the previous plugin to the Rank Math, It really good feature for every client that wanted to move for these both plugins to Rank math. This feature allows you to check all the crawl errors on your website and it really useful feature to make your website more SEO friendly with the search engine. You can find out errors on your website and fix them with this feature. This feature is the best one for your website data structure to let search engine easy understanding your website data. Rank Math comes with this useful structure data for SEO and Search engine love it. While using rich snippets you will increase your CTR and your ranking position will increase. It a Schema markup which makes search engine easy to understand what your content all about and good for the SEO. It is a powerful feature with allows you to check your keyword ranking tracking, CTR, Ranking position, and Impression. Everything you can check within your website so no need to good to the search console and check how many of your content are got ranking and more. …with Rank Math, you can easily check out all of this thing within your website. Rank Math also brings up the sitemap for your website when you had installed this plugin, It good for the search engine indexing your website data. The sitemap is a map tells the search engine about your website data and is easy for search engine ranking your website. This feature is really great for redirect your website page or post that had deleted or you want to change your website URL. There are options that you can redirect your website page or post. 301 redirection this is a permanent redirect and 302 redirections this is a temporary redirect. This is really important for SEO to make your website no errors of the search engine crawling. This feature is good for the multi-users website that a had more than one user and the webmaster can set the role of them whether they can do SEO by them self or the SEO can be done by the webmaster. This feature will audit your website SEO and tell you what wrong on your website SEO technical issues. It is a really useful feature and good for your website to make it more SEO friendly for the search engine. Yoast is the most popular plugin that has more than 1 billion user install and activated this plugin for their website optimization. This SEO Plugin is the best recommendation from many of blogger and SEO experts to use for the on-page SEO optimization. It takes a very short amount of time for optimizing your content for search engine easy ranking your new article. It one of the Best WordPress SEO plugin that many bloggers are actually using for their blog SEO and get better ranking on the SERPs. Yoast comes with the functionality of at least seven different plugins. It is an all-in-one SEO tool that helps you rank easily. Among the powerful features of Yoast SEO is the ability to create the sitemap and link up your site with Google Webmaster console for verification. Yoast SEO plugin is free and can be downloaded from the WordPress repository but there is a premium version available on the official Yoast website. All In One SEO Pack is the best WordPress SEO Plugin that you may have to check out and using this plugin for your on-page SEO optimization. This plugin functionality is not many different from other WordPress SEO plugin and will analysis your on page SEO and target Keywords. This plugin automatically optimizes the posts, pages, and custom post types titles for search engine ranking and also automatically generates Meta tags. It also helps you avoid duplicate content penalty. All In One SEO Pack also the best WordPress SEO Plugin that you should for your SEO optimization for the better ranking on the SERPs. SEO Pressor is also one of the best WordPress SEO Plugin, It has only paid version no free version available yet. The functionality of this plugin is not much different than other but it fit enough for your Search engine optimization term. It will help you to optimize your blog post SEO very fast as other plugins do to help you get a better ranking result on the search engine ranking page (SERP). Among the powerful features of SEO Pressor is the ability to create the sitemap and link up your site with Google Webmaster console for verification. You can also link up your site to Bing Webmaster console using SEO Pressor plugin. SEO Pressor plugin also offers users complete SEO page analysis and scores the page based on the focus keyword. SEO Pressor plugin is free and can be downloaded from the WordPress repository but there is a premium version available on the official SEO Pressor website. SEO Pressor also has social media integration that helps optimize content for social media sharing. You also can use the SEO Plugin to help your on-page SEO analysis and optimization for the ranking opportunity on the search engine with your target keyword there. It is the best practice when you come in the external link for example affiliate program and thing like that. You can use to no-follow link to make the link that you link out is not recommended link which tells Google that this link many power link. As we know that search engine like Google they love the do-follow backlink, whenever you get more do-follow backlinks from the high PR site it will boost your website ranking. Isn’t that just mean and terrible? Why would anyone do such a thing? There’s a reason for the no-follow attribute, and boy is it a good one! Rich snippets are visual search elements such as star rankings, images, and other important details that might grab user attention by having something different than the regular search results. Rich snippets are often used for product page results and blog post reviews. Google enjoys rich snippets because they aren’t all that intrusive, yet still able to reveal valuable information to the user. It is good for your ranking to make the user click more than other types of regular research on the SERP and it will increase your CTR, which is really good to move your ranking position on the search result page. Boost Ranking Position on the Search engine. Your search results are easier to share on Facebook since the proper information is already compiled. WP Super Cache is the best caching plugin that helps your website loading faster and it will improve your website ranking because Google loves the website loading fast. There are more than 2 billions of users install and activate this plugin to make there website loading time decrease and make the visitor happy on opening your website. Nowadays no one like the slow website such as you and me we like the website which loading very fast. So to boost your website Page speed you must use the caching plugin to improve your website page speed. There is an alternative plugin that you can use and it is also the best caching plugin that has similar amount fo user using nowadays. Smush It is an Image optimizer and compressing to make our website running fast than ever. What this plugin does is it will compress our website image and make it run super fast, so it good and really important for your website because it matched with Google ranking factor of speed loading time. We at SEO Relation also using this plugin in term of image optimizing for the SEO to help our website get better ranking on the search engine. Smush It is also one of the best WordPress SEO plugin when it comes to the image optimization for your website speed increasing. There also a good plugin of image optimization that you can use of alternative from Smush It. This plugin also working well for your website of the image optimizing term. All of the is plugin is best WordPress SEO plugin that you must check out if you want to rank higher on Google or another Search engine. It is really easy and simple to use these plugins and you get lots of benefits from them and the specifics functions that they provided. WP plugins are so useful as they save so much time enabling you to work on other things!